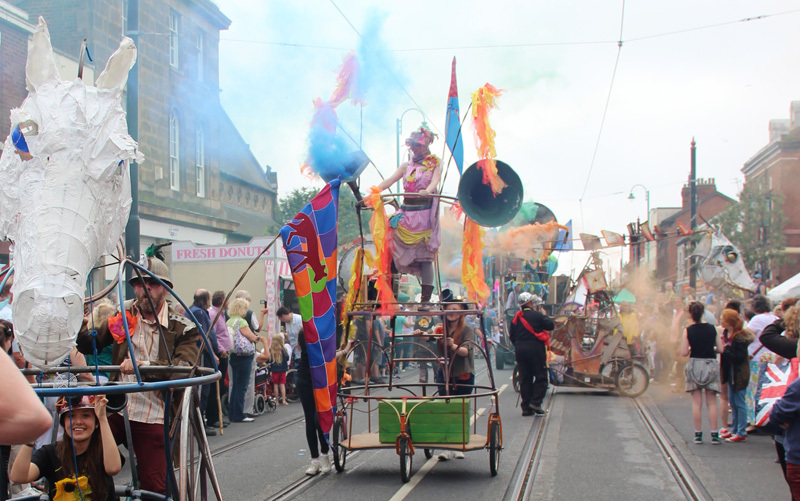 The Dust has settled on the Pandaemonium Parade – we’ve been far too busy to tweet and post online – lazy Luddites we are. Spare Parts and Tram Sunday were fantastic – Fleetwood well and truly rammed to the gills with sun soaked, happy people. 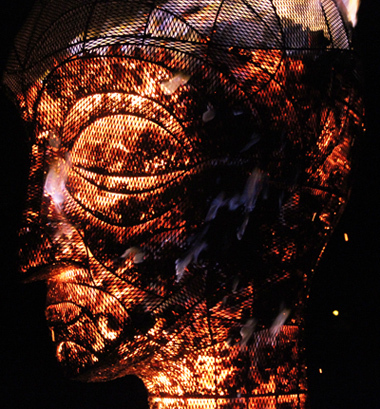 Rag and Bone co-founder Dave Young and Pa-Boom have just finished their Hot Heads collaboration, which culminated in a fiery event at the Yorkshire Sculpture Park. 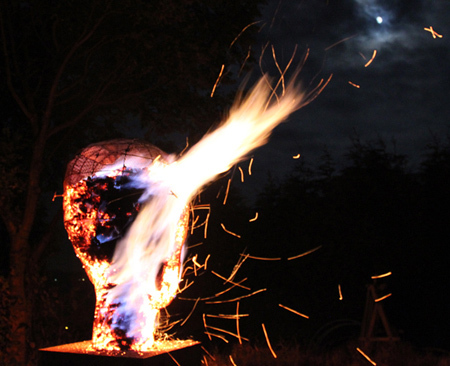 The Hot Heads make a primal, totemic night time installation, and could well feature either on their own, as part of our Horns of Fire garden, or as part of a fiery finale to a show, procession, event or festival. Rag and Bone’s Dave Young has been feverishly welding away in a dark, satanic mill, on a new collaborative project with pa BOOM! Hot Heads is an Arts Council, England supported R&D project – 3 sculptural charcoal braziers in the form of giant heads. These enigmatic, blazing totems are nearly ready for their first outing into the world – an evening at Yorkshire Sculpture Park in late November. 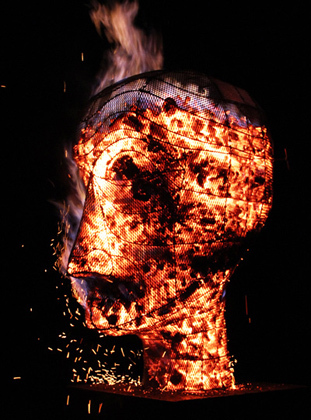 We’ll post more news on this project as it develops, in the meantime here are some photos from the test run of the very first Hot Head. 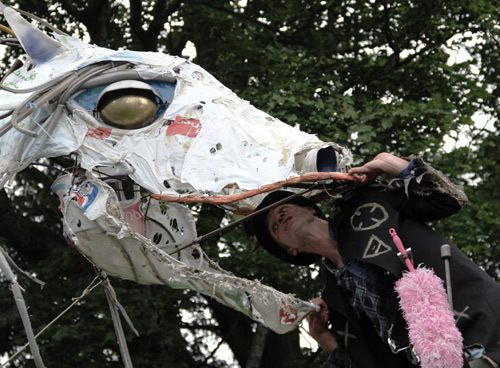 MintFest was the final outing for Bone Yard Tales this year. Now the Bone Yard must creak and groan its own dusty lullaby, fold into itself like a hibernating clock and settle into it’s barn for a Winter of rusty snoring, musty autumnal dreams and occasional scrapyard flatulence. A hearty thank you to everybody involved – without you all it would not be possible. We have our own specially unqualified Quack Doctor who will be checking up on the sleeping BoneYard during the winter months and will let us know when the first stirrings and rumblings start in the Spring. 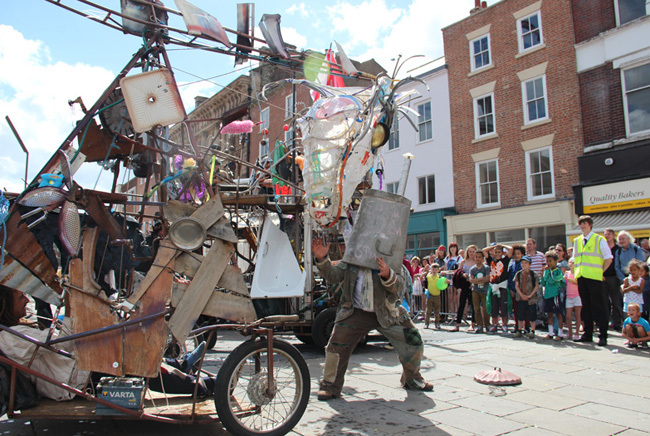 We had a ball in a sun drenched Stockton last weekend, performing Bone Yard Tales for Stockton International Riverside Festival 2013. 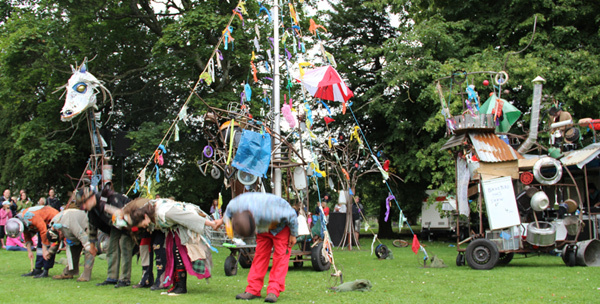 Loads of sun, lovely crowds, great organisation and the best festival catering ever – what more could you want? 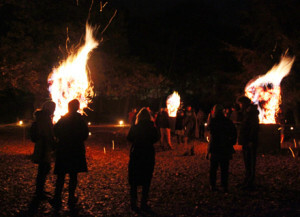 Boneyardtales from Rag and Bone on Vimeo. 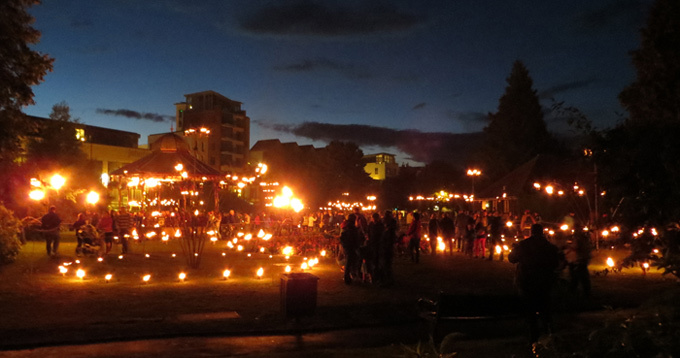 It’s a brief flavour of the show, filmed at Greenwich and Docklands International Festival in June. 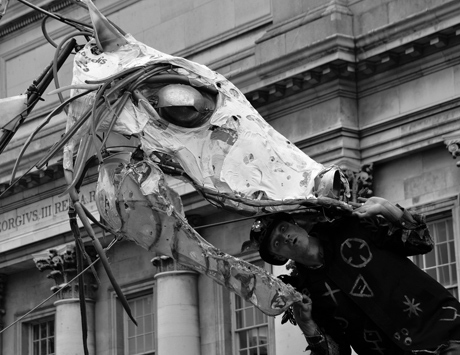 Bone Yard Tales finds it’s way to Stockton International Riverside Festival soon. 2pm and 8pm on Saturday 3rd August, all shows are at the High Street venue, see here for details.